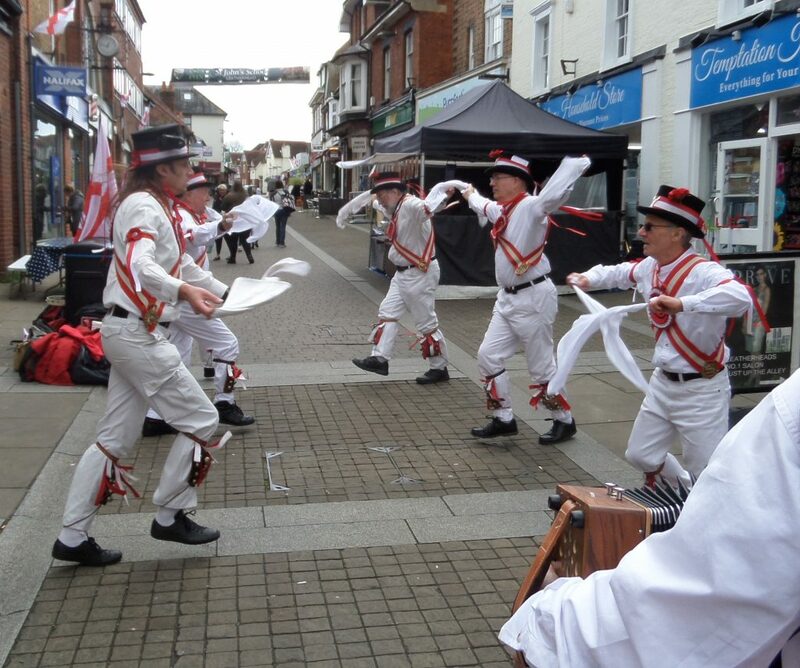 Join us in Leatherhead for the Leatherhead Traders St George’s Festivities from 11a.m. ESMMM – 40 years on and still going strong. We’re digging through the archives and plan to show a series of photographs covering the four decades that ESMMM have been in existence. 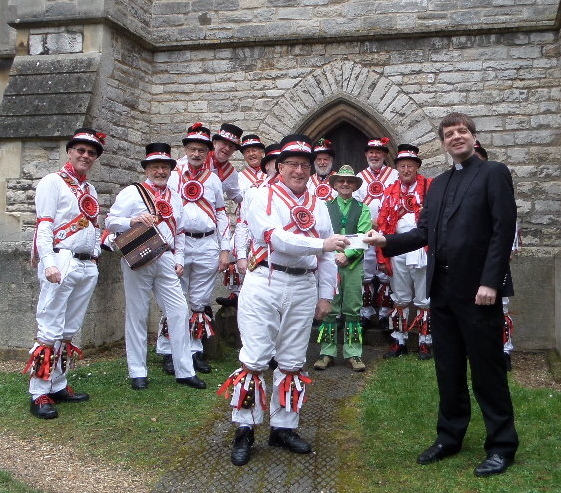 These pictures were both taken outside St. Mary’s Church, Ewell. The shot on the left is from 1981 and from left to right are Peter Collins, John Tucker, Alan Mead, Nigel Bird, Chris Pottinger, David Dance and fiddler Andy Perrin. Sadly, John and Chris have passed on. On the right, in 2019, are Peter Collins, Alan Mead, Alan Greenwood, Russell Dewhurst (Vicar of St Mary’s, Ewell), Ray Watson and Bob Hayward. 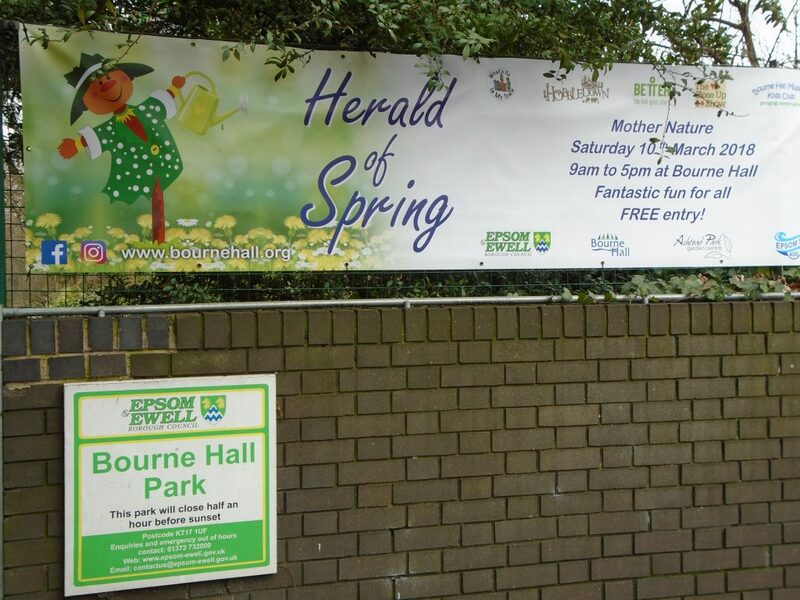 It’s here again – this coming Saturday – the Herald of Spring. 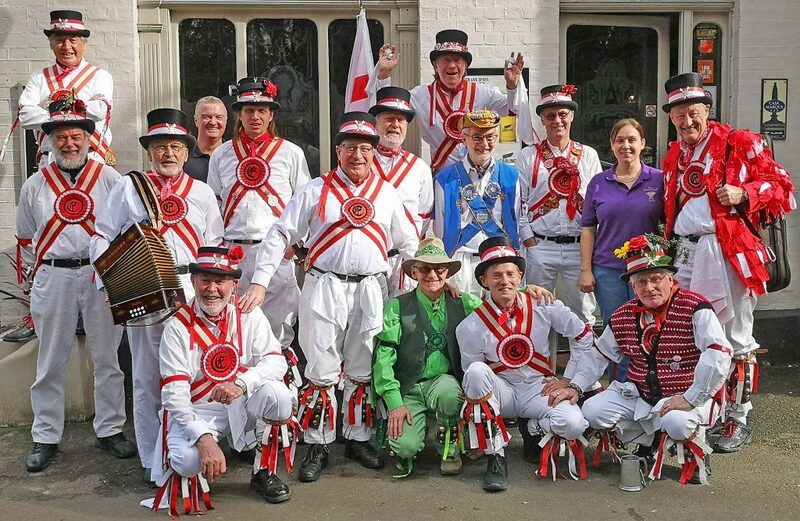 ESMMM will be dancing at Bourne Hall, Ewell, at 12 noon and 2pm with the obligatory refreshment break in The Wheatsheaf to quench the communal thirst betwixt sessions. It’s 37 years ago now that we first togged up for this harbinger of Spring and Summer dancing days to come. at the front of St Mary’s Church. 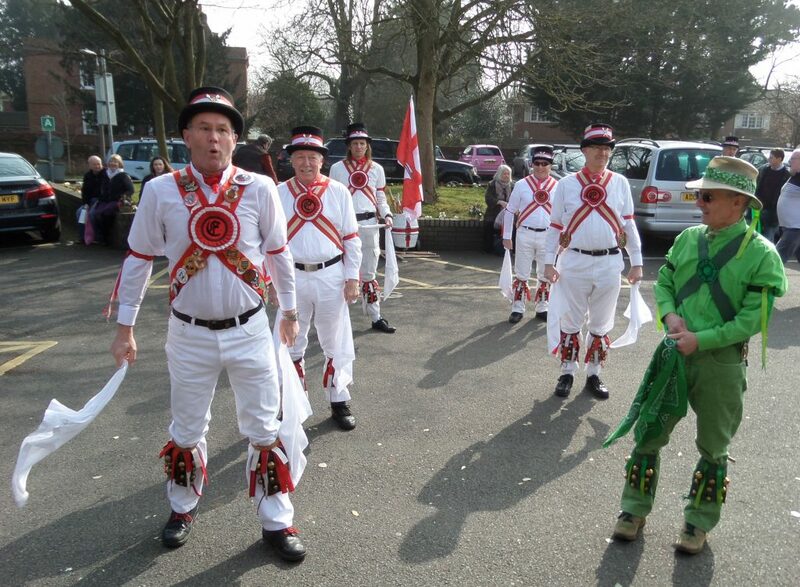 12 noon – Dancing outside the library at Bourne Hall. 12:30 pm – Head for The Wheatsheaf for a break. 1:15 pm – 40th Anniversary team photograph outside The Wheatsheaf. 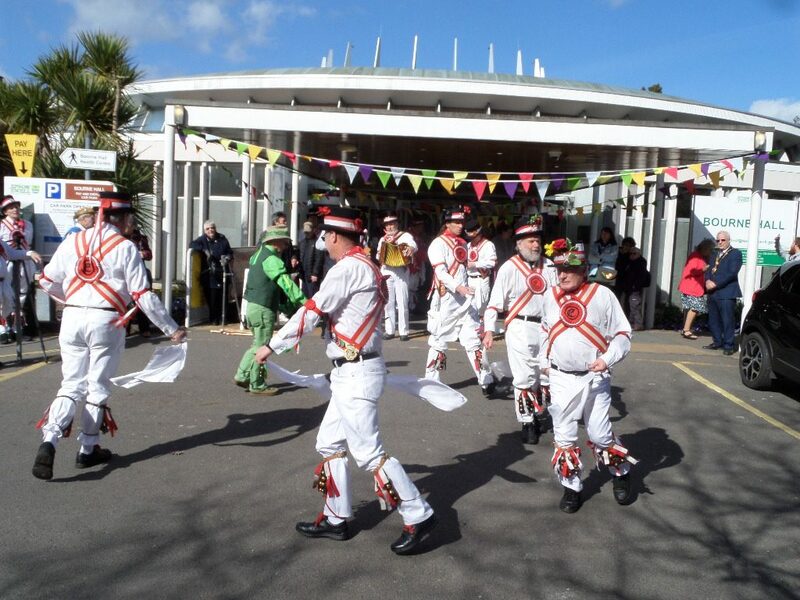 2:00 pm – Dancing outside the library at Bourne Hall.